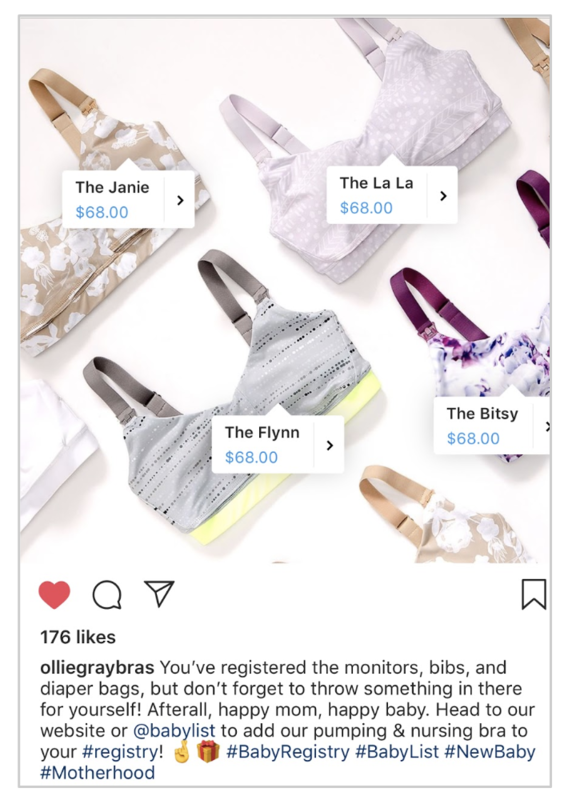 If you haven't heard on one of the "mom groups"—Ollie Gray Bras is a maternity retail start-up looking to turn the pumping/nursing bra market on its head. Frustrated by the lack of pumping bra options that were stylish, comfortable and functional when she was pregnant, Kate Rech decided to take matters into her own hands and give women a better option. 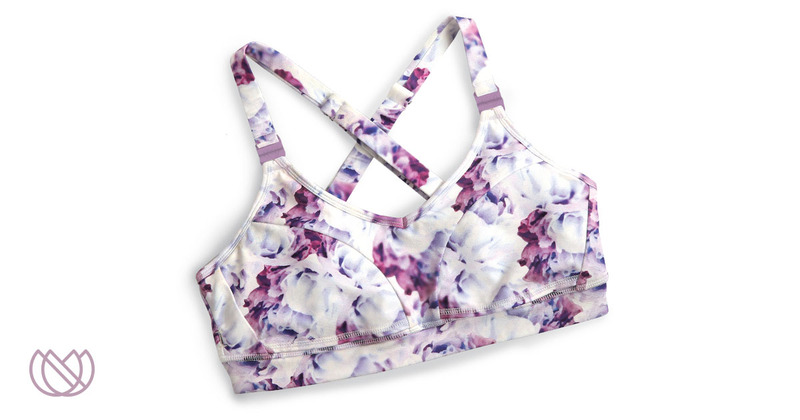 She and her husband, Bryce, teamed up with a former lululemon designer and together created Ollie Gray Bras. Their goal was to create an all-in-one pumping/nursing bra that looked great, felt better and gave moms the freedom to pump or nurse anywhere, without worrying about their bra. After all, why should you give up anything when you're a new mom (besides sleep)? Through their entrepreneurial drive, a designer's talent and of course, some advertising help, Ollie Gray's first product, the Anywhere Bra was an instant success. After helping them become 330% funded on Kickstarter, Saturday launched Ollie Gray's Ecommerce site and initiated Ollie Gray's first marketing campaign. Highly targeted facebook ad campaigns supported key sales promotions and pop-up retail events while organic social posts helped the brand cultivate its very first customer relationships. Over the course of the year, they completely sold out of stock, multiple times. 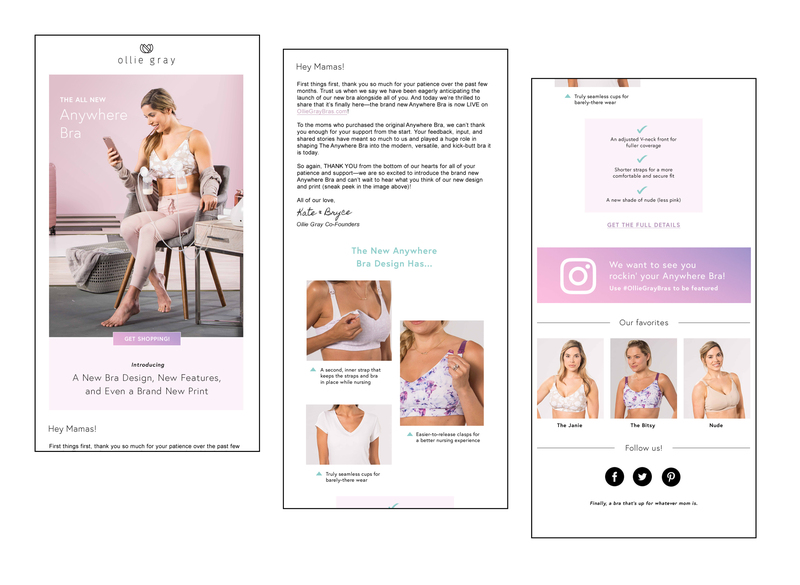 Always looking for opportunities to improve, Ollie Gray reviewed customer feedback and used the findings to fine tune their product, and launched an updated version of the bra with new features and an improved fit. To support this re-launch of the Anywhere Bra, we made some subtle adjustments to modernize the brand and evolve it alongside the product. We also relaunched the website, with an updated design and improved user experience. To expand Ollie Gray's reach, we launched a highly targeted email campaign, added marketing automation tactics to drive sales, developed a full digital marketing strategy (including a paid social media strategy/campaign, shoppable ads & pins, partner strategies, and dynamic ads), evolved their influencer marketing strategy and more. To keep it real in 2018, actual moms are featured in materials—some were represented models, and some were first-time models who are actual customers. 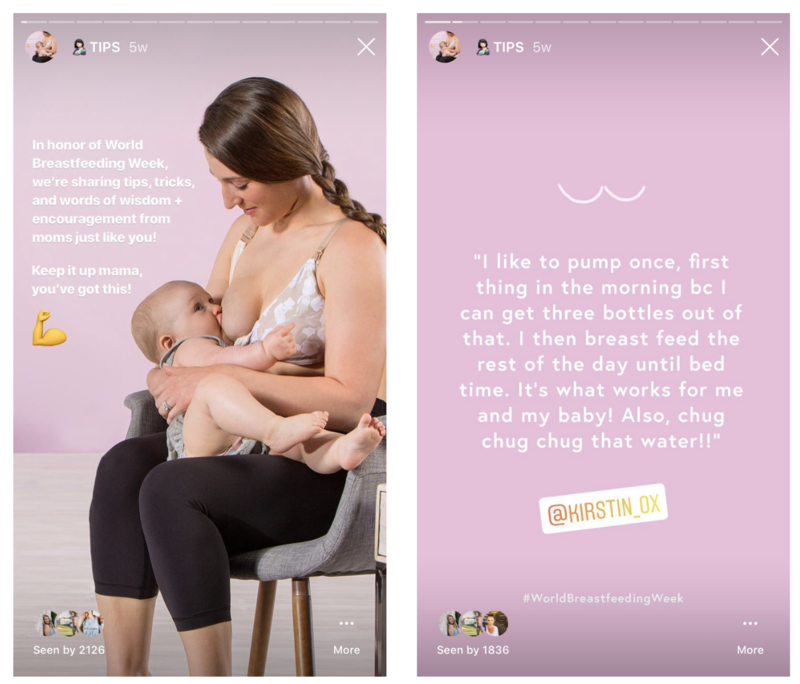 Messaging was developed after learning some unexpected nuances about how new moms think, and not just relying on promoting the sweeter moments of motherhood. So many modern styles to choose from! The fully integrated campaign launched mid-June to immediate response and record sales for the company. Stay tuned to hear more exciting developments as we bring Ollie Gray and The Anywhere Bra to the new-mom nation!